Thank you for joining Cameron and I on our first summer book tour! 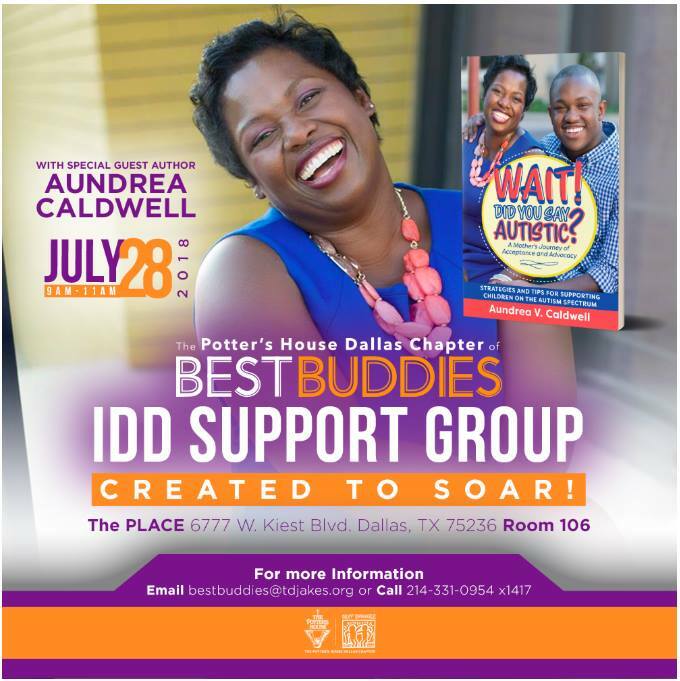 On July 28th at 9am, I will be guest speaker at the Potter's House Dallas Chapter of BEST BUDDIES IDD Support Group meeting. We will share your our remarkable story of "surviving and thriving" with Autism and answer questions about our experience. We would like invite you to join us and also support this amazing organization. We're super excited to share our Autism Journey with the North Texas Special Needs community. As a thank you, you will receive a copy of Annual Education Plan: Five Step Process and Four Key Chapters of my book, "Wait! Did You Say Autistic?"